Office or Retail site. 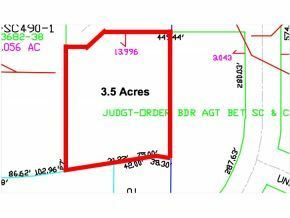 Includes 3.5 acres. Just east of intersection of Hwy 57/57 interchange. Take Maloney Rd to Equestrian. This payment is based on a 30-year loan at a fixed rate of 4.12 % with a down payment of $29,000. Actual lender interest rates and loan programs may vary.